In about a year from now, we might just find ourselves feasting on a wireless USB Wi-Fi. USB Implementers Forum (USB-IF) has reported that it is developing a wireless USB device said to operate over Wi-Fi frequencies. It also wanted this USB spec to have the capacity of pushing multiple gigabits per second. This is in line with its goal of providing a forum for the development and advancement of USB technology. Although developing wireless USB dates back as early as 2004, it is only until recently that a wireless version of USB for actual use proved to be promising. The design of Media Agnostic USB (MA USB) which was developed by USB Wi-Fi in partnership with the Wi-Fi Alliance, allows wireless devices and docking stations to communicate via USB protocol. With the new MA USB, there would be no need for USB to be physically connected. MA USB will be made to comply with USB 2.0, USB 3.0, and USB 3.1. Since it will be compliant with USB 3.1, it is expected to provide theoretical transfers speeds that will reach 10Gbps. 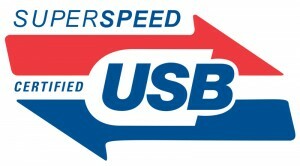 In developing the MA USB, USB-IF aims to maximize the use of existing infrastructure, including open application programming interfaces, USB class specifications by USB-IF device working groups, OS specific drivers for USB classes, and vendor-specific device drivers) in attaining wireless gigabit transfer rates. The difference between a wireless USB and the MA USB is that the latter allows USB protocol to operate on various platforms, such as WiGig 60Ghz, Wi-Fi 2.4, 5Ghz, WiMedia UWB radios, and other physical media types. This particular feature serves as the edge of MA USB over wireless USB that can operate only over WiMedia UWB (ultra-wideband) radios that operate between 3.1 and 10.6 GhZ. The Wi-Fi Alliance reported to have started a certification program for Wireless Gigabit (WiGig), which is a new protocol that allows transfer of data up to 7Gbps over a 60GHz band. With such frequency, short-distance transfers will be faster as compared to the 802.11n and 802.11ac Wi-Fi protocols that use 2.4GHz and 5GHz bands. According to Wi-Fi Alliance, the “WiGig Serial Extension Specification” which they have built has already been transferred to USB-IF. This spec will serve as the foundation of MA USB, more specifically to implement USB functionality. USB-IF said that the development of the unit and MA USB specification will take roughly a year to be completed, while introducing the product to the market may take another year after that. This entry was posted in Wireless USB Technology and tagged USB Forum, USB Implementers Forum, USB Wi-Fi, USB-IF, Wireless USB. Bookmark the permalink.